Ubisoft, along with the Province of Ontario, have announced a partnership focusing on job growth and new development right here in Toronto, Ontario. This partnership bring Ubisoft’s Canadian production levels to 4 studios (Vancouver, Montreal, Quebec City and now Toronto) and over 2,300 employees. 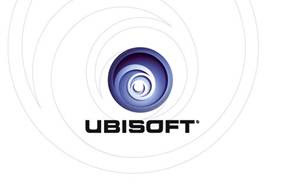 TORONTO, Ontario, Canada, July 6 2009 – Ubisoft announced plans today to open a full development studio in Toronto, Ontario – a first for the company in the province. This significant announcement is expected to result in the creation of 800 net new jobs within the province over the next decade. The government of Ontario is investing CA$263 million over ten years in the company and Ubisoft’s net investment will be over half a billion CAD in the new studio, which will begin operations in late 2009. Ubisoft Toronto will be overseen by Yannis Mallat, chief executive officer at Ubisoft Montréal, whose proven leadership and vision will be a major asset to the growth and success of the new studio. Ubisoft Toronto will work on Triple-A games and will emulate the proven business model and creative excellence for which Ubisoft is known. In addition, Ubisoft Toronto will bring its own flavour to the global Ubisoft brand, which will benefit from the deep pool of dynamic and quality talent trained in video game design and production in the province of Ontario. The Toronto studio will also build on the city’s existing experience with the film production industry. Collaborating with local film industry veterans to enhance video game production and extend Ubisoft’s convergence strategy, Ubisoft Toronto will contribute to Ubisoft’s global plan of extending its brands to complementary platforms and mediums, including books, comics, short films and other products. The studio in Toronto will be the fourth for Ubisoft in Canada, with other studios located in Montréal, Quebec City and Vancouver and employing more than 2,300 creative staff across the country.